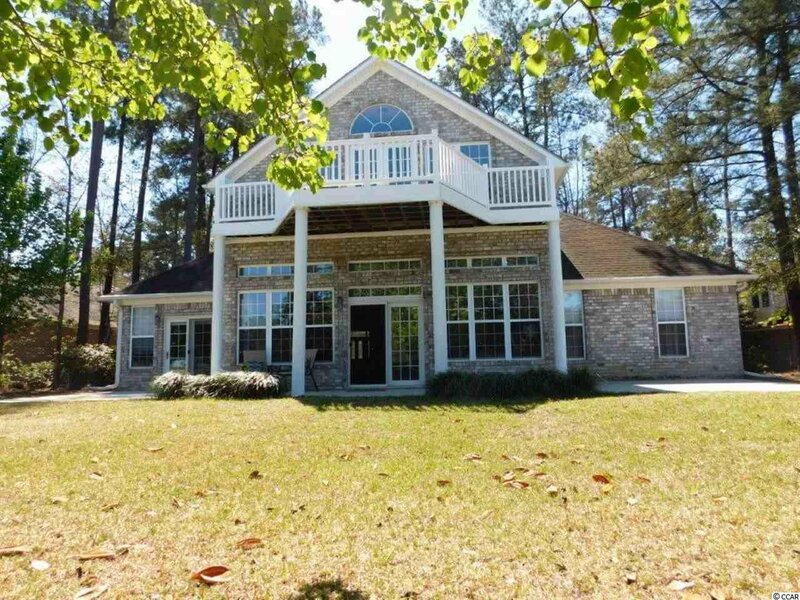 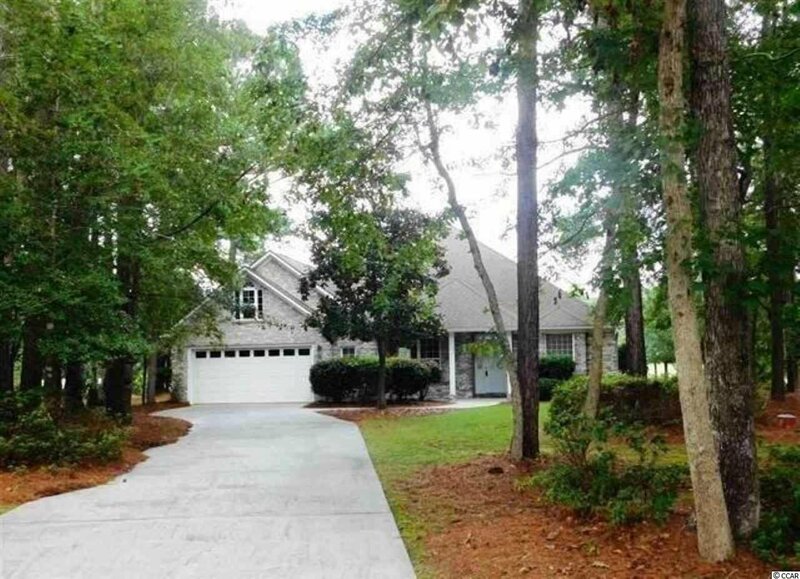 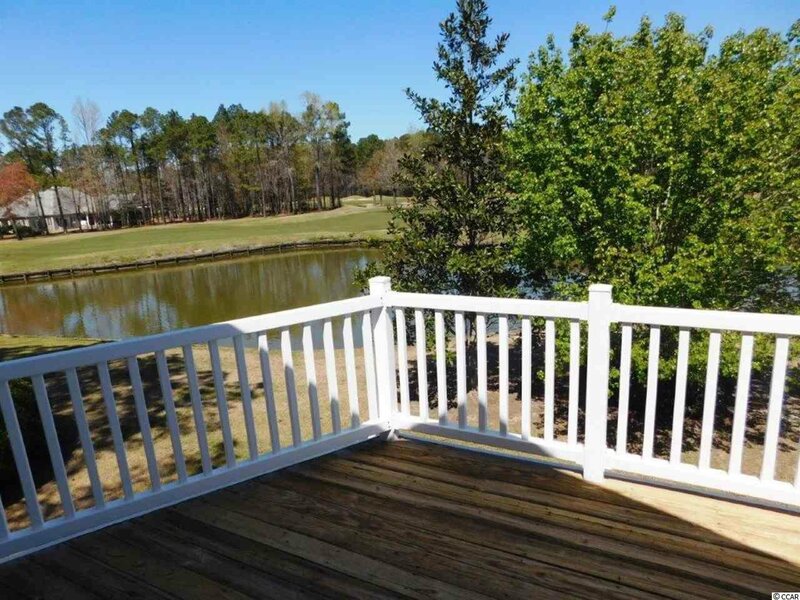 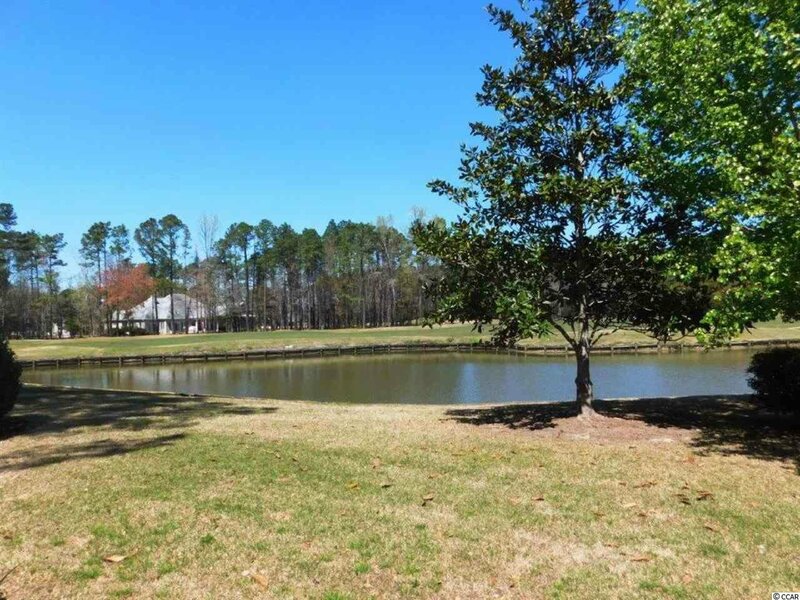 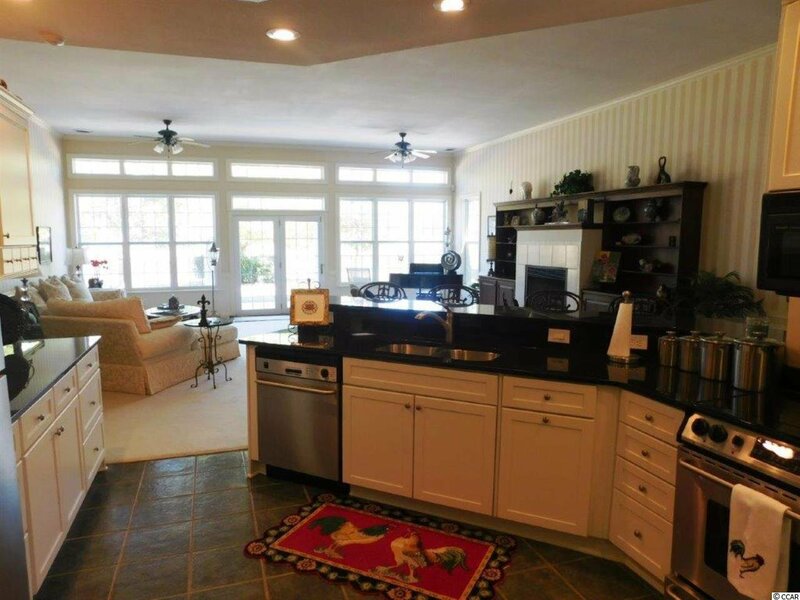 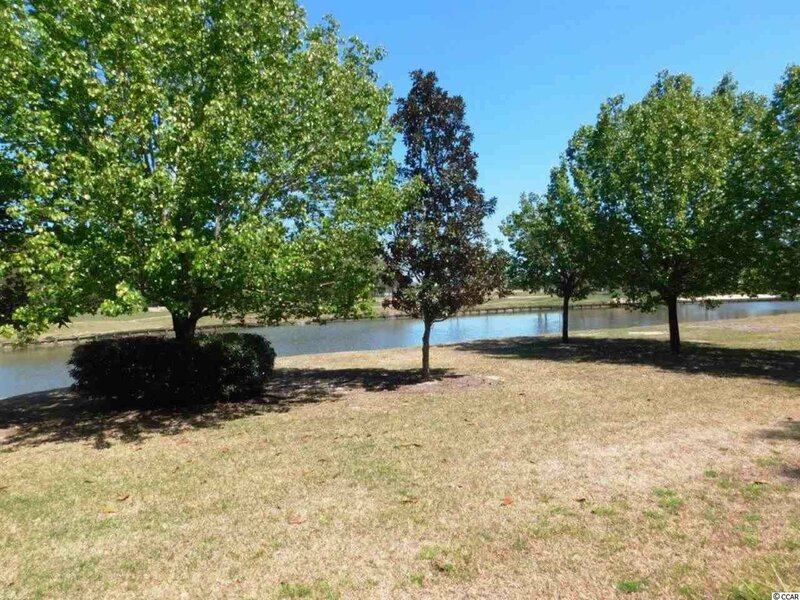 Gorgeous estate- type 4 BR/ 3 BA/ 2 car all brick beauty nestled on large lake/golf course view of 18th hole of Long Bay's Jack Nicklaus signature golf course. 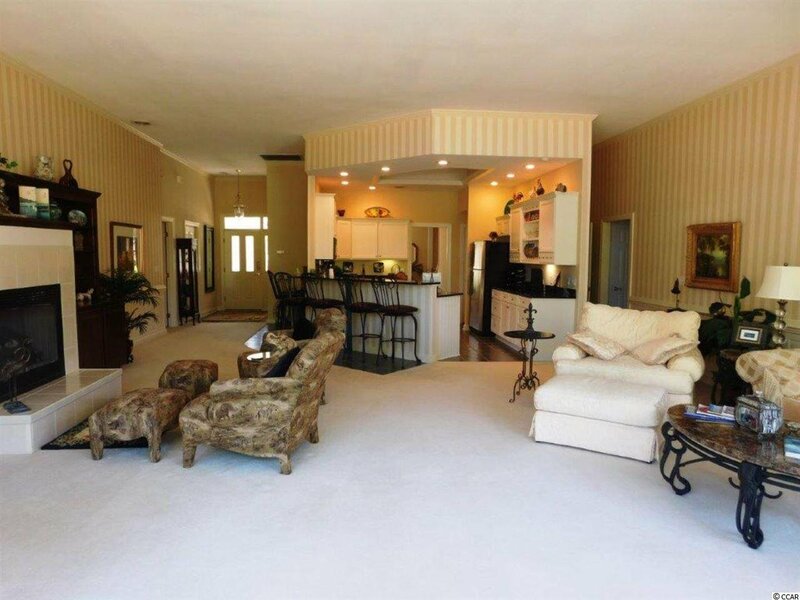 Walk into this lovely home & feel the "WOW" immediately. 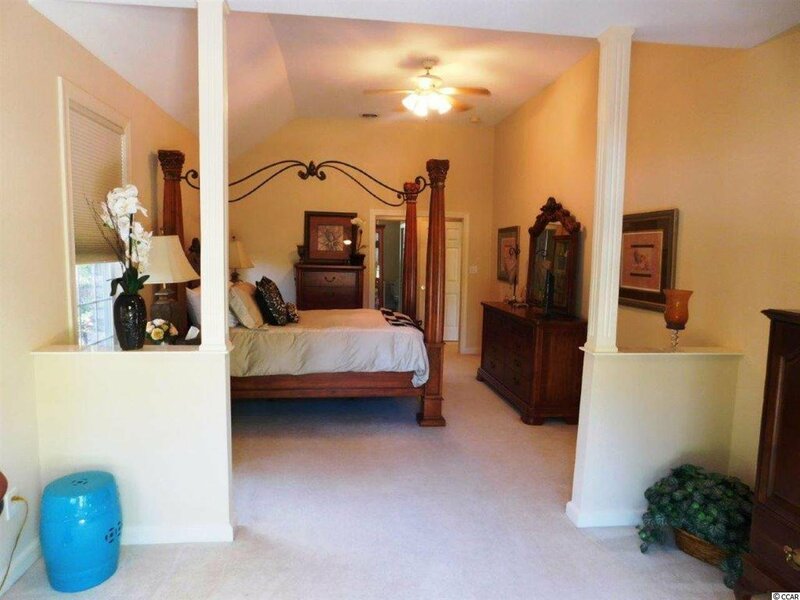 Walk into the foyer and be greeted by a huge, bright, light, open spacious split bedroom plan. 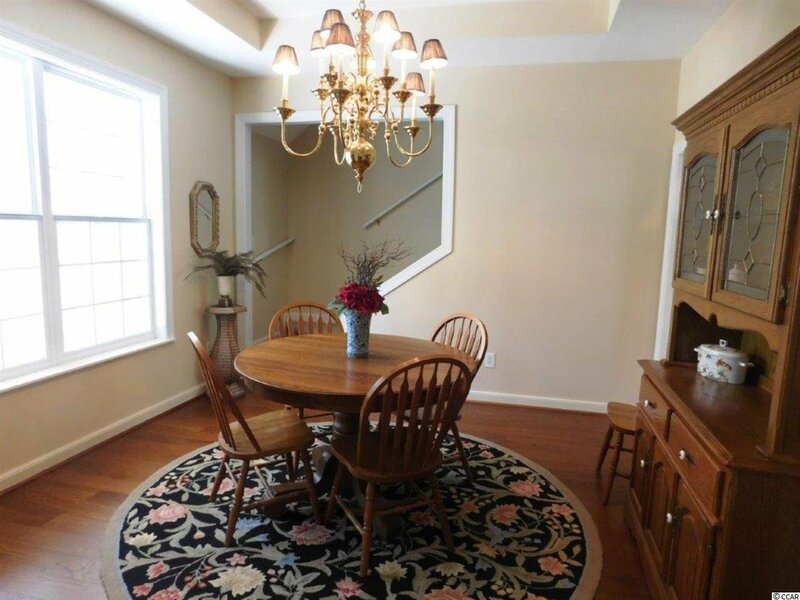 As you walk in there's a lovely dining room to your left with tray ceiling & move forward into an open kitchen/ family room. 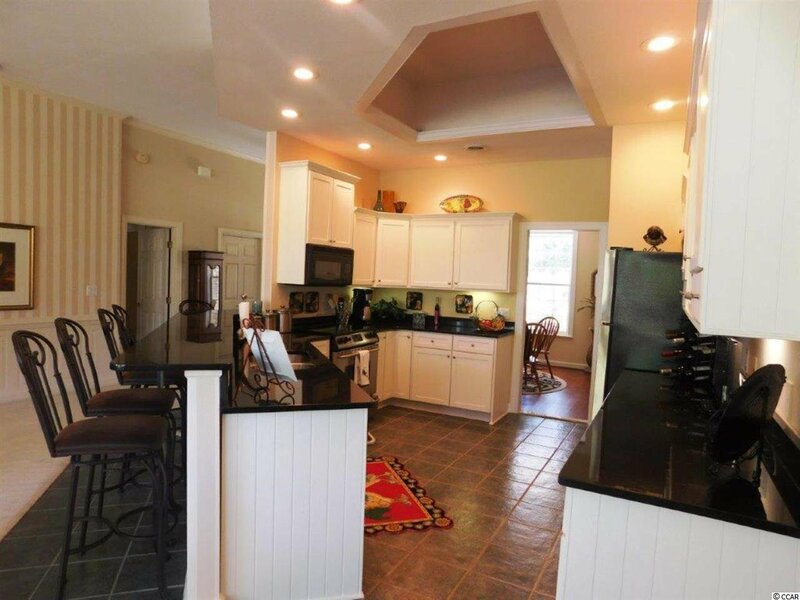 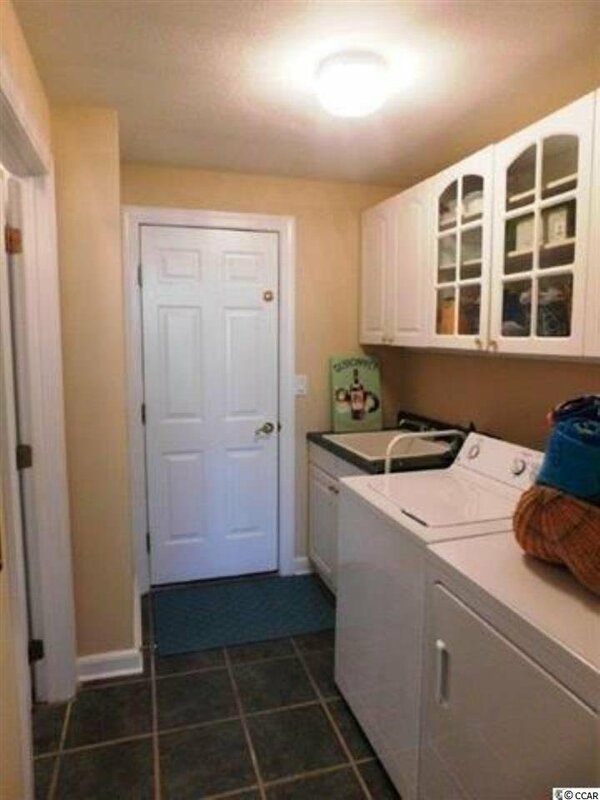 Kitchen is huge with recessed tray ceiling, large breakfast bar seating 6 comfortably, tons of cabinets & counter tops, pantry and all appliances. 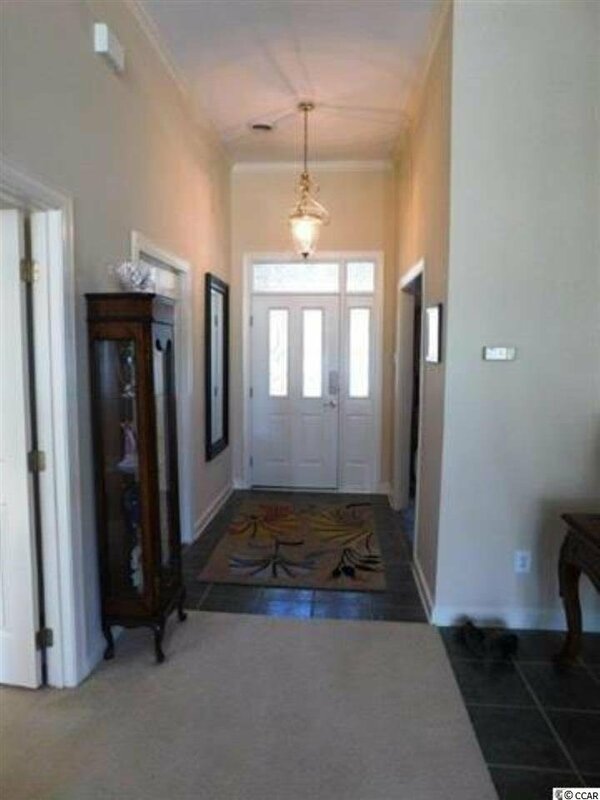 Kitchen opens completely to family room boasting a fireplace, built-ins, chair railing, gorgeous moldings & a fully window back wall with French doors that allow the bright, light feel & features gorgeous views of the lake & golf course. 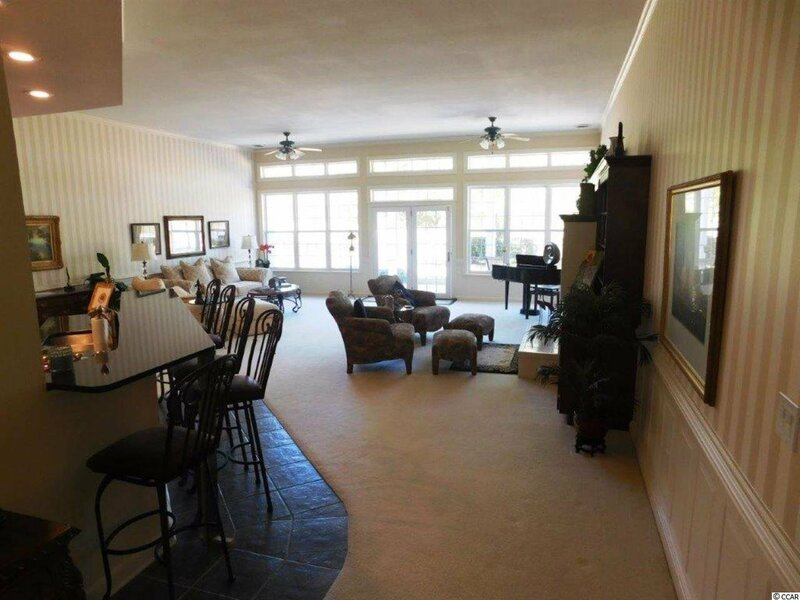 walk thru the French doors onto a large covered patio adorned with columns for the elegance of outdoor living. 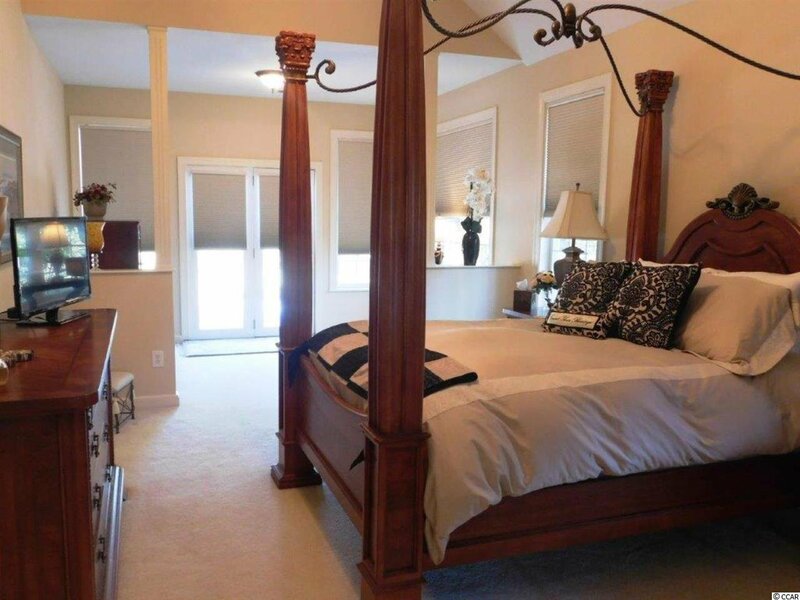 On the bottom level find a huge master suite inclusive of a large sitting area with views to be rivaled by none & master his & her walk-in closets. 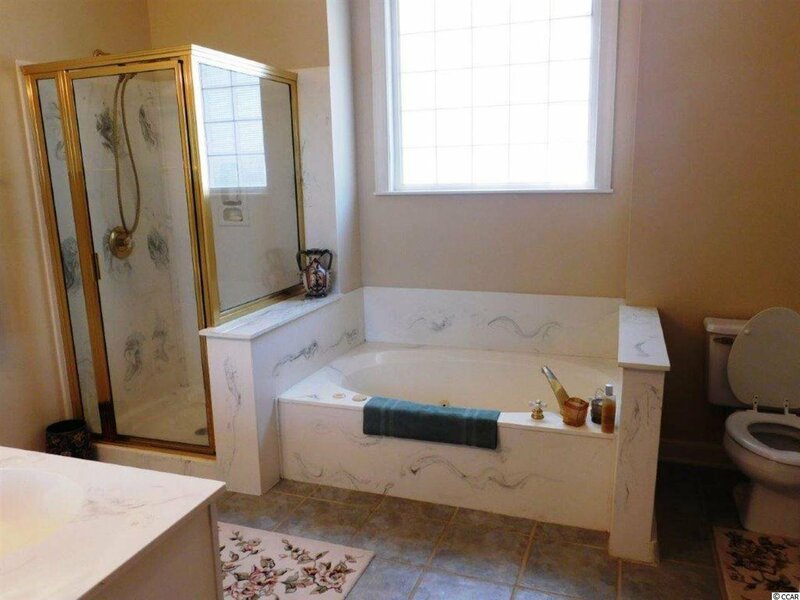 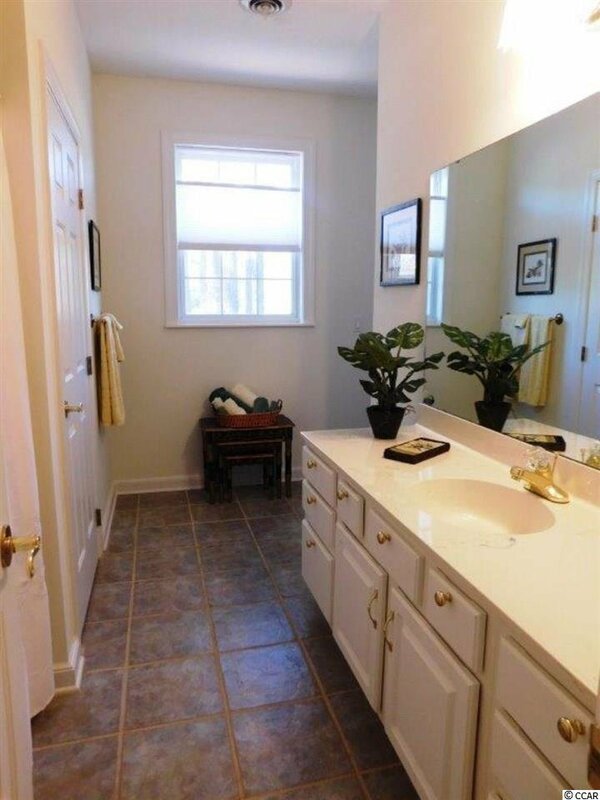 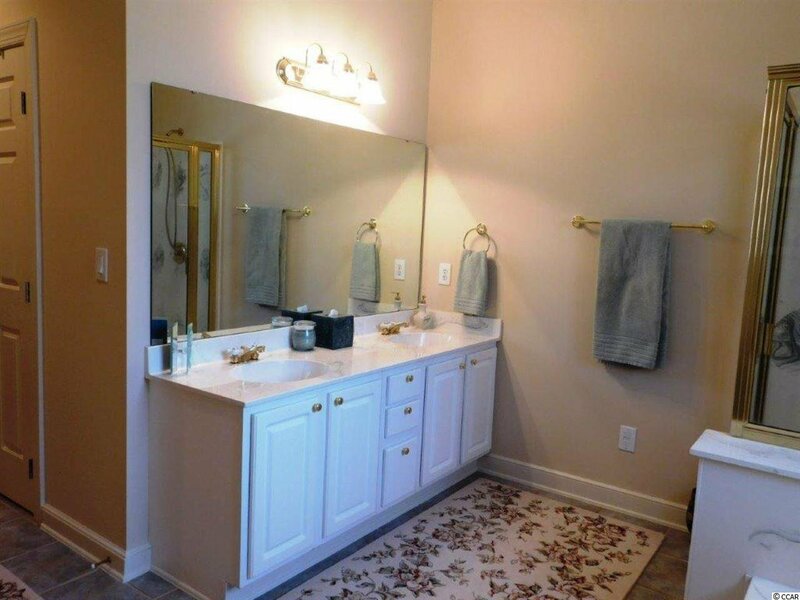 Master bath with double sinks, Jacuzzi tub, walk in shower. 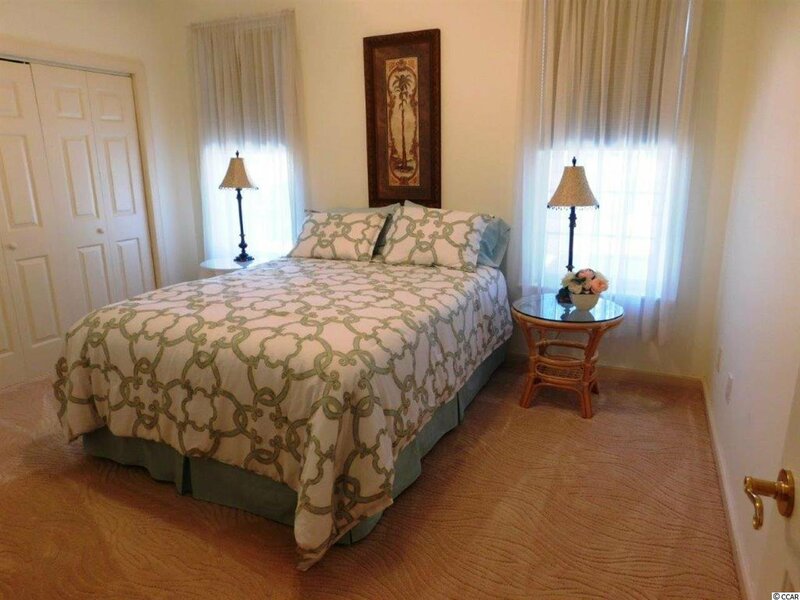 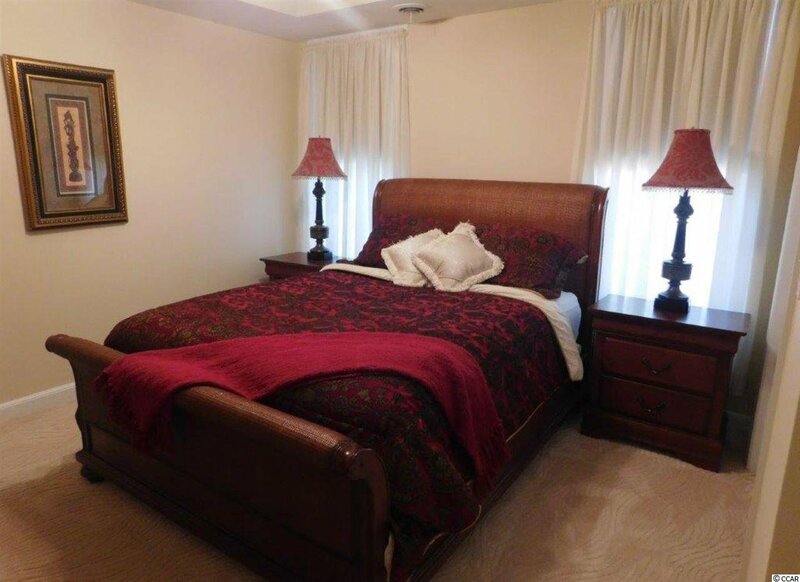 On first level, there are 2 other large spacious bedrooms & full bath between them. 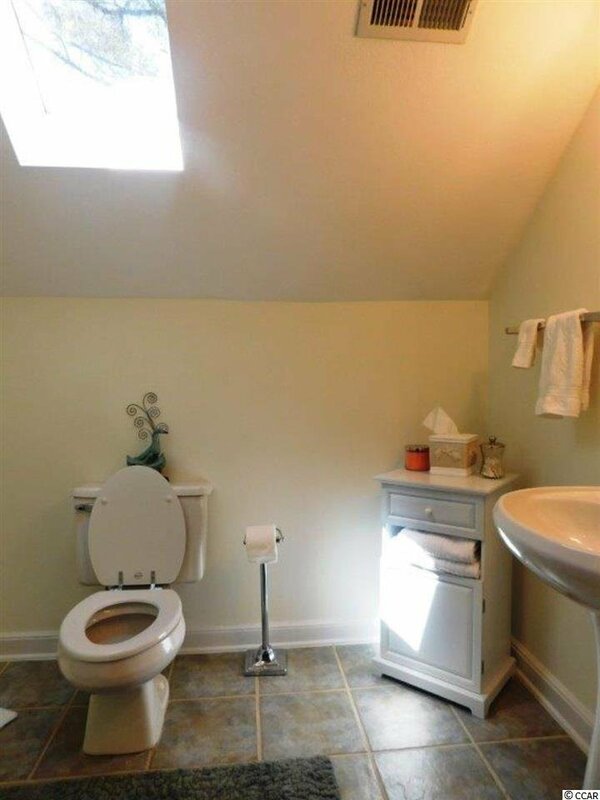 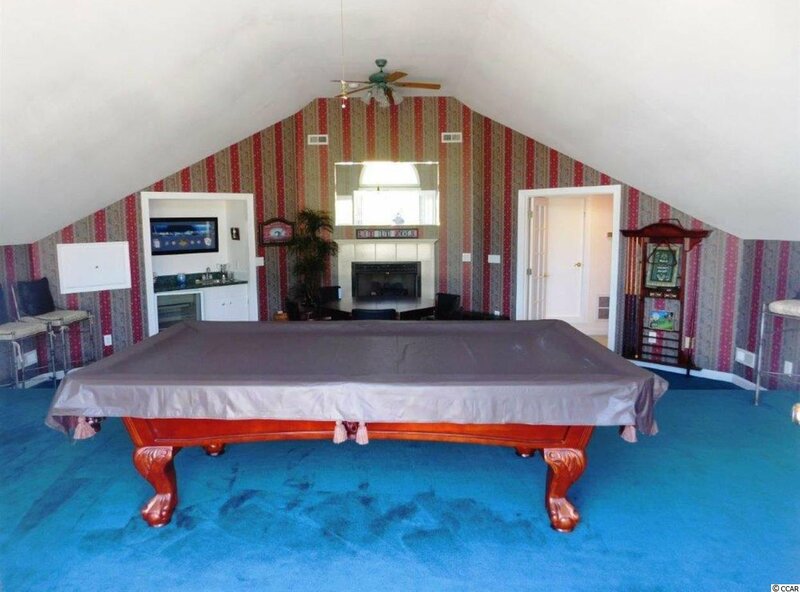 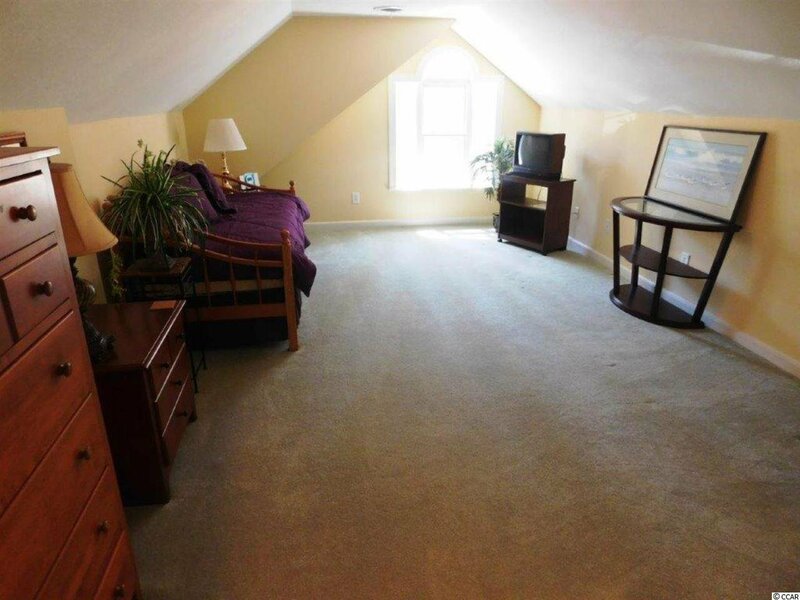 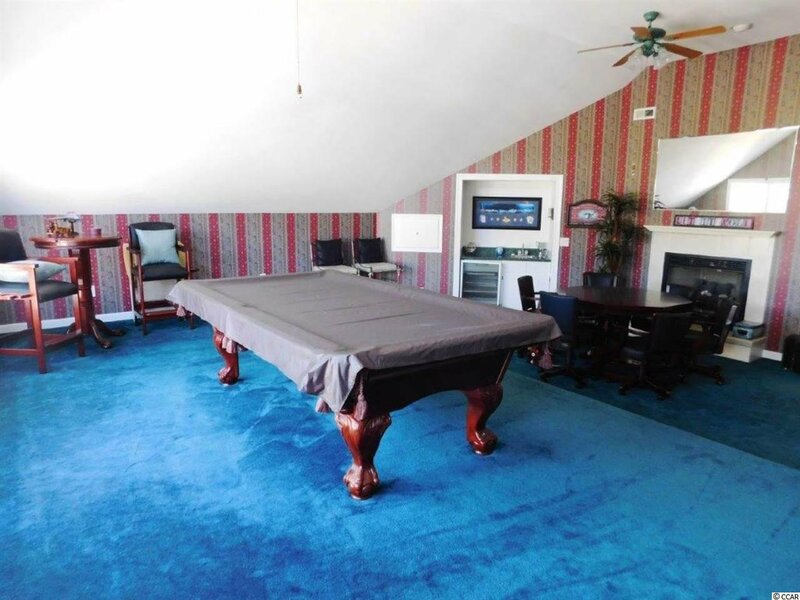 Venture upstairs and find a huge bonus room in addition to a 4th bedroom with a full bath next door. 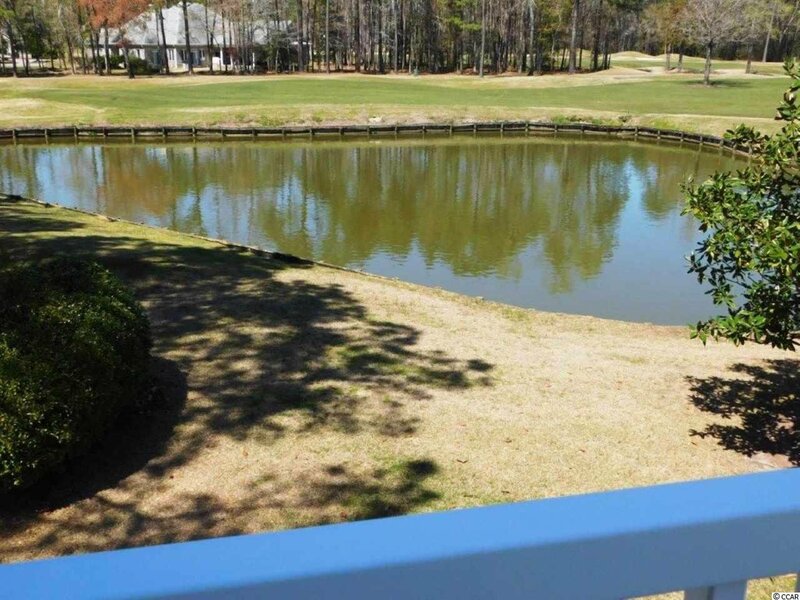 If that's not enough there's an enormous great/family room with wet bar, wine cooler, fireplace & French doors leading a large balcony with spectacular views of lake & golf course to be rivaled by none. 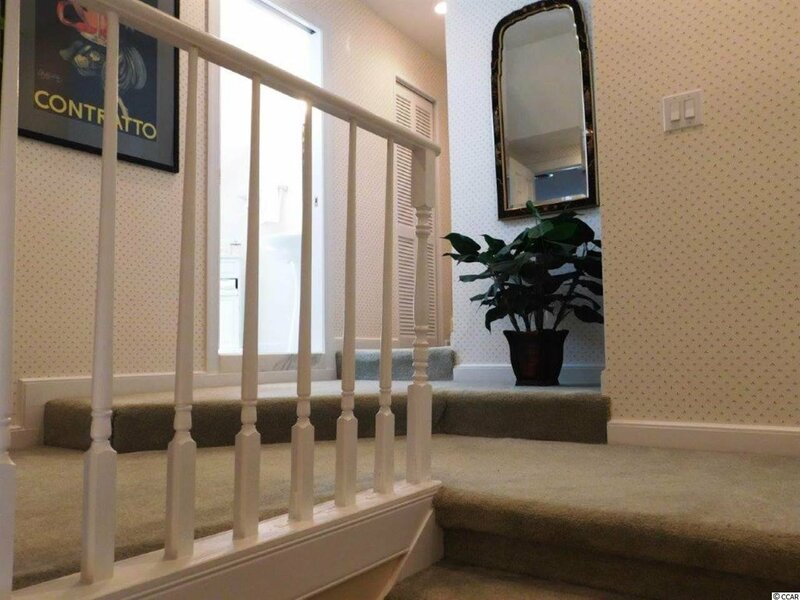 Resent up grades are not limited to but include new hardwood floor in dining room, new renovations to kitchen boasting granite breakfast bar, counter tops, under-mount sink, & custom beautiful white cabinets, new carpet and custom window treatments in first floor bedrooms. 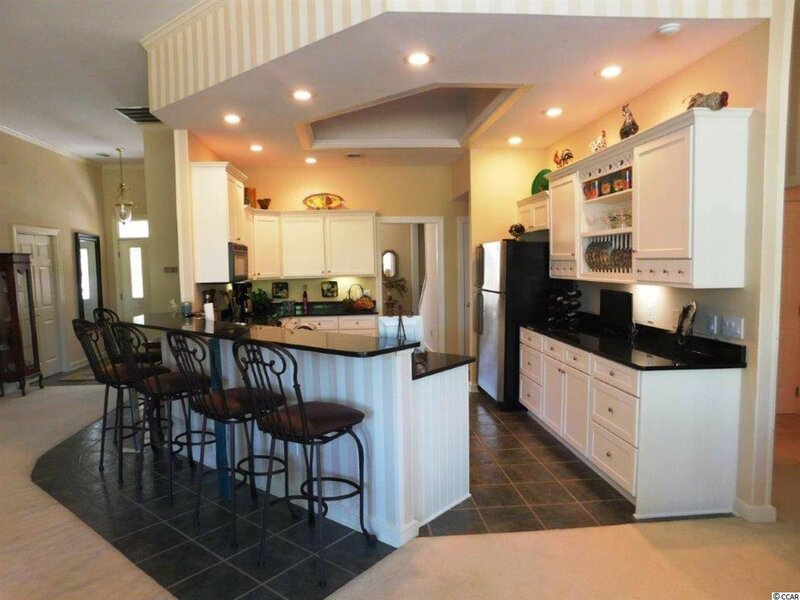 Range, Dishwasher, Refrigerator, Microwave, Breakfast Bar, Pantry, Range Hood, Stainless Steel Apps.